In the early fall of October 2007 forty-five organizations, community members and individuals representing native business owners and artisans, tribal economic developers, non-profits, education institutes, legal advisors, community development corporations, financial institutions, county, state and federal agencies began meeting in response to the limited native-owned small business development occurring throughout the state. Up to that time, most of these organizations were operating alone and had realized limited impact and success in small pockets of the state. Forming the alliance created momentum in an environment where “shared leadership” became the model, resulting in greater focus and impact while leveraging each partner’s expertise and resources. The focus on relationship building and keeping the entrepreneurs front and center in our work together was a foundational value, as well as working with our communities and tribal leadership. It was during this time the group decided to host a statewide Indian Business Conference with the intent of refocusing the conversation on native small business development. On October 27-28, 2008 the MN Indian Business Conference was held and refocused the discussion on native-owned small business development from one that pursues a variety of strategies in random order, as opportunities happen to present themselves, to one that promotes a focused “building-block” approach to business development. The approach recognized that certain fundamental issues often stand in the way of unleashing the full potential of economic growth in Native country. At that time, the issues only focused on four building blocks; governance, infrastructure issues, access to adequate financing and business-related resources. On December 2, 2008 current alliance partners, conference attendees, community members and other interested parties gathered to build and formalize a new statewide alliance dedicated to the growth of native-owned businesses in Minnesota, hosted by the Initiative Foundation. 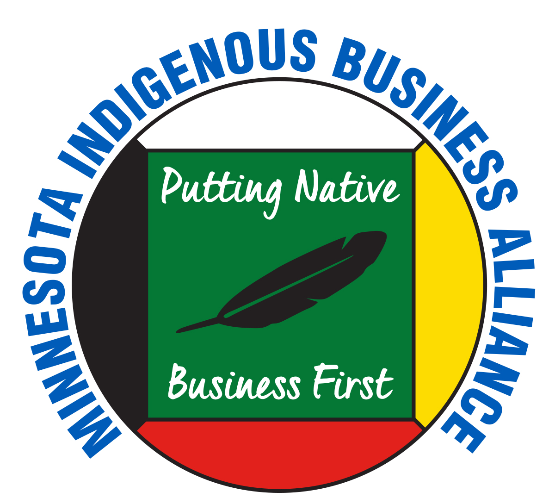 The Minnesota Indigenous Business Alliance (MNIBA) begins. From 2008 – 2012 MNIBA continues to host quarterly meetings and grow the organizational partnership from forty-five to one hundred thirty-five organizational partners. On February 15, 2012 members of the leadership team and community met with a facilitator to create a strategic plan. It was during this time that MNIBA adopted a new mission statement and tag line. The first comprehensive statewide report made possible through a partnership with Dr. Bruce Corrie of Concordia University entitled; “American Indian Capital and Minnesota’s Future,” has elevated the economic impact and contributions of American Indians within the state of MN. MNIBA received the Governor’s Certificate of Commendation for its outstanding contributions to the MN economy and its commitment to making MN a better place to live and work. Partnership and full support of the MN Secretary of State and staff to work with any nation choosing to adopt the UCC Model Tribal Secured Transaction Act. MNIBA works with the Leech Lake Band of Ojibwe as they adapt and adopt the Model Tribal Secured Transaction Act and hosts a celebration at the State Capital during the historic signing and partnership between Leech Lake Band of Ojibwe and the Minnesota Secretary of State. The Indian Business Alliance Leaders from Montana, South Dakota, Wisconsin, Minnesota and North Dakota have formed the Regional Indian Business Alliance (RIBA) to facilitate the leadership teams meeting bi-monthly to share best practices and coordinate planning efforts. RIBA just completed its second regional strategic plan. MNIBA begins building the first comprehensive statewide Native Business Directory inclusive of native owned businesses, artisans, individual native professionals, tribal colleges, native nonprofits and tribal governments. MNIBA is working with tribes to develop a reservation economic profile for both internal use and outside investors. Five tribes have been awarded funding to begin their own CDFI on tribal lands and are in the development of entrepreneurial services and resources. Two tribes now offer credit counseling to all its citizens and offer financial education training. MNIBA in partnership with Kay Bills and Kristi Long wrote a white paper on the Buy Indian Act. Kristi Long delivered the white paper to the National Congress of American Indians with a request for resolution, which passed with tribal leader in support of the recommendations on July 1, 2015. Kay Bills provided testimony on the white paper before members of the Senate Committee on Indian Affairs. MNIBA conducted the first-ever statewide facilitated listening session for native entrepreneurs and published this report in February 2016. MNIBA has launched a statewide “Buy Native” campaign and is working with tribes, service providers, tribal colleges, native non-profits and entrepreneurs to Buy Indian first. MNIBA has launched a “Buy Native” Cross-Promotion Marketing Grant where three or more native businesses work together and collectively market. MNIBA is working with language speakers to build materials and messaging that is grounded in the language and reflective native values and ways of being in the practice of exchange and trade.